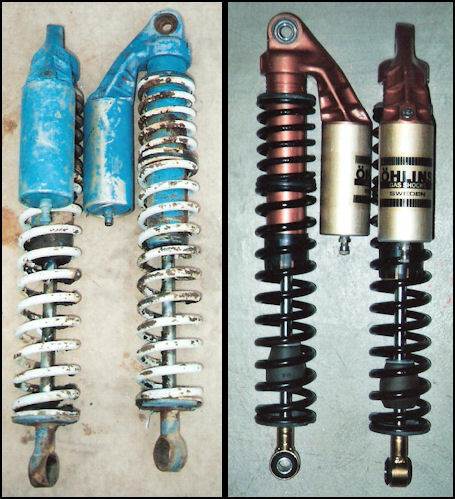 Send us your Ohlins shocks and make them look like NEW again! Prices vary from minor rebuilds that only require new internal components to extensive rebuilds that require a new body, rod, eyelets, etc. We can give an estimate over phone but will not know the exact cost to rebuild until we actually see your shocks in hand. Also, tell us your weight and riding style so we can custom tune your suspension just the way you like it.